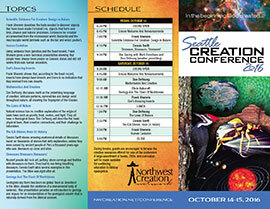 Watch Seattle Creation Conference 2016 Live Webcast during the event. 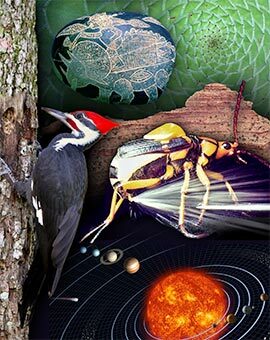 The Seattle Creation Conference provides an annual venue for educational seminars that support Biblical worldview, and features four speakers (scientists and apologists) that are dedicated to glorifying God through scientific studies of His creation. The purpose of the event is to strengthen faith against the false teachings of naturalistic science, and encourage the Church to trust in the Bible as authoritative on early Earth history. The conference is produced for Bible believers that are concerned about the impact of secular science on people of faith. The seminars are suitable for ages 11 and up, and there will be no children's program or nursery care provided at this event.